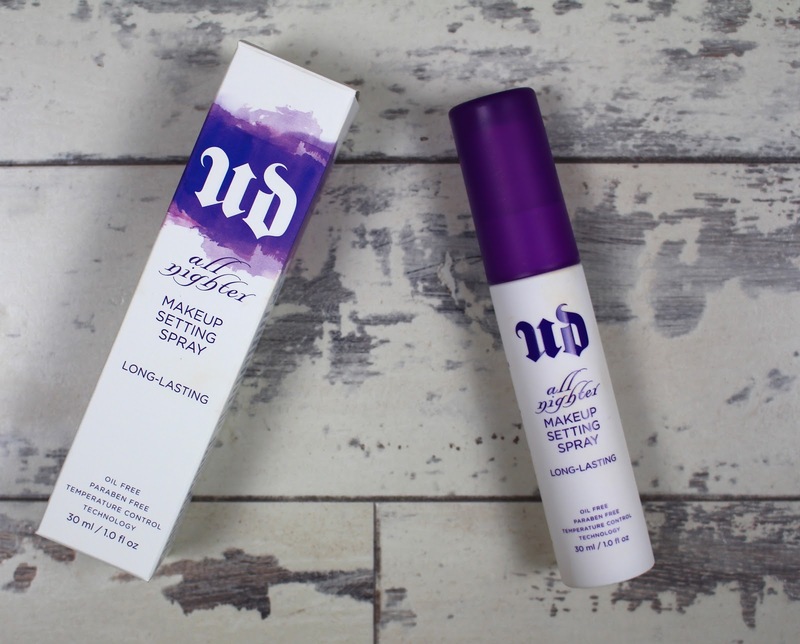 Living in Makeup: Urban Decay All Nighter Makeup Setting Spray: Worth the Hype? Urban Decay All Nighter Makeup Setting Spray: Worth the Hype? I love the idea behind Urban Decay's All Nighter Makeup Setting Spray (£9/30ml or £21/118ml). A quick spritz from this supposedly sets your makeup and keeps it in place all night long. As I'm sure you know, it's extremely hyped about, so naturally, I had to put it to the test! I must admit, I'm genuinely impressed by this spray. It is like glue for your makeup. It just locks everything into place so it doesn't move around or fade. When I use this, my base doesn't transfer and all my other makeup lasts longer. The mist is really fine and refreshing and doesn't just squirt you in the face like other sprays, Fix Plus I'm looking you. I like to use this before and after I apply my makeup in exactly the same way Urban Decay recommend. It's weightless and doesn't have an overwhelming scent. I think it would be ideal for all skin types, although Urban Decay do have setting sprays for the different skin types. Urban Decay's All Nighter Spray is one of those rare products that makes your makeup look better as the day or night goes on. I personally don't feel the need to reapply it throughout my day but the travel size one is so slim, it fits perfectly in my handbag. As you've probably guessed, I definitely think this product is worth the hype. Urban Decay, you've done it again! Have you tried the All Nighter Spray? What's your favourite setting spray?